We’re the team who put ourselves in the shoes of our members, brokers and people to understand their needs and expectations in order to improve their experience. We make sure our customers’ voices are heard and we respond to what they tell us. We work with all departments across the Society, carrying out research, analysing complaints and bringing in best practice from other organisations. To continuously improve the service we offer, our role is to anticipate the ever increasing expectations of our customers and make sure these are considered across the Society and are at the heart of decision making. We’re an expanding team. We’re looking for both new talent and experts to help shape our work. For any role in our team, you’ll need curiosity, empathy and the enthusiasm to improve our customers’ experience. 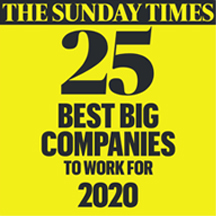 We’ll reward your talent and commitment with a supportive and stimulating environment, and all the benefits of an employer who genuinely puts its members first.